Whether cracks occur on the finished surfaces of masonry, wood or metal stud walls, the most common cause is the movement of building materials. While the natural movement of building materials surprises many homeowners, engineers, architects and builders expect and plan for natural settling, shrinking and swelling. Unfortunately, regardless of the quality of installation, surface materials and finishes often develop thin cracks called hairline cracks. Most cracks are relatively easy to repair, and, with the right materials, you can sometimes slow or stop their spread. Masons can direct the path of cracks in masonry walls by purposefully cutting lines through the wall's surface called control joints..
Cracks regularly occur in all types of masonry walls, including reinforced concrete slab walls, concrete block walls, brick walls and stucco walls. Cracking is frequently found in masonry walls due to the settling wall foundations, the movement of framing materials, temperature changes and the application of loads to the wall. You'll also find cracks where separate materials meet in block and brick walls, such as the joint between mortar and blocks or bricks. Alternatively, cracks often appear in stucco over stick-frame walls when wooden framing naturally expands or contracts. Effective repair of cracks in masonry walls typically involves widening the crack, cleaning its contents and filling it with repair mortar or flexible sealant. In drywall cracks often occur due to the movement of underlying framing materials, such as wood studs, or damage to tape seams between adjacent sheets of drywall. 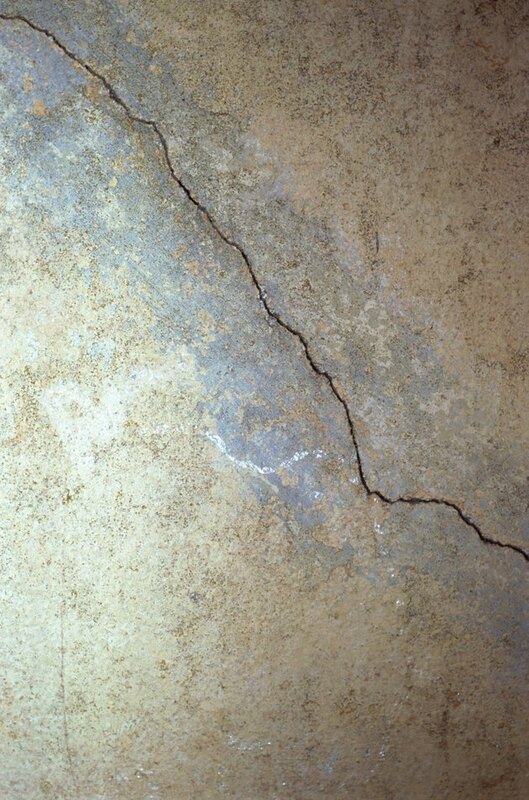 Particularly common following water damage, hairline cracks develop along the loosened edge of damaged drywall tape. Alternatively, hairline cracks occur in drywall when fasteners, such as drywall nails, pop loose from wall framing. Additionally, drastic changes in interior temperature and humidity or poor drywall tape installation often causes drywall and drywall surface coatings to develop cracks. While drywall repairers fix minor cracks with spackle or drywall mud, major cracks require removal and replacement of the drywall. Similar to stucco, interior plaster walls consist of a masonry mixture spread across a support system of metal or wood lath. Like drywall, plaster cracks due to the movement of underlying framing, changes in the structure's interior environment or poor installation. Additionally, because plaster is not bound into a sheet as drywall, plaster is more likely to develop cracks. However, hairline cracks in plaster walls are easily concealed with a fresh coat of plaster and paint. Although often simply blemishes, cracks sometimes indicate serious structural damage or water damage. Indicators of structural damage to masonry walls, particularly concrete, block and brick walls, include entire sections of a wall that protrude along a crack or single blocks or bricks that protrude along a crack. 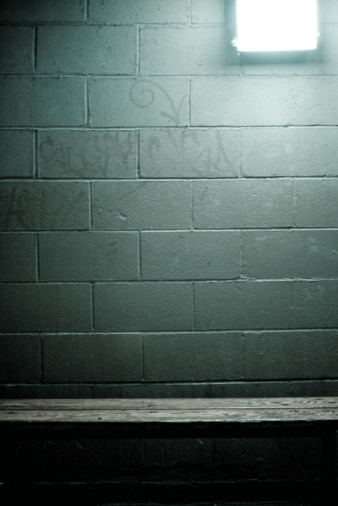 On interior walls, indications of serious damage include sagging and bulging wall surfaces or moist areas along cracks.